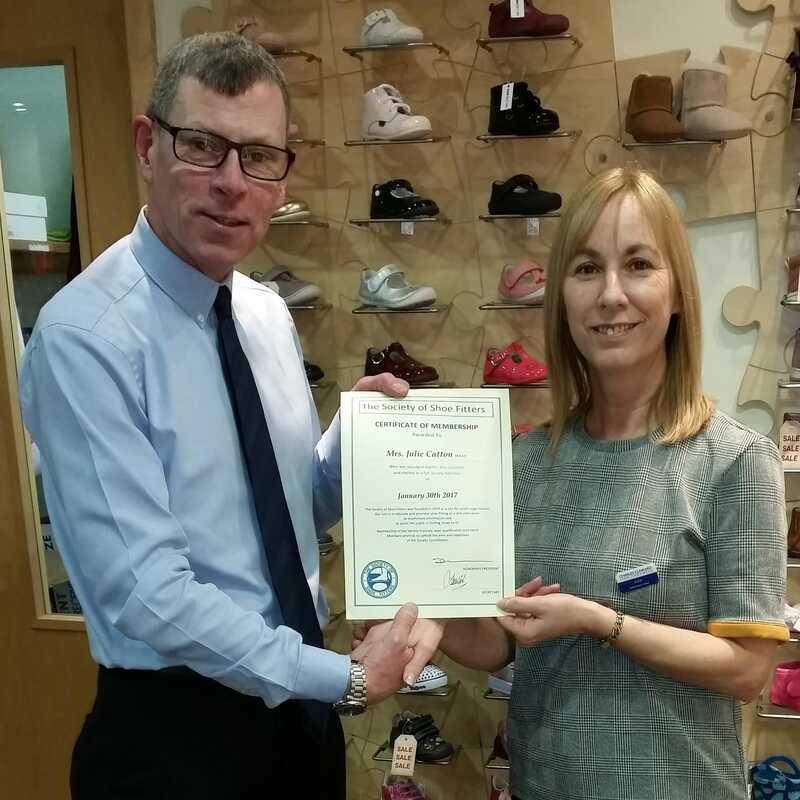 Last January, Julie at our Leeds store and Ginny at our York store both completed a training course with the Society Of Shoe Fitters, gaining them a qualification in shoe fitting. The Society Of She Fitters are an organisation who believe in and promote the importance of having shoes fitted correctly. 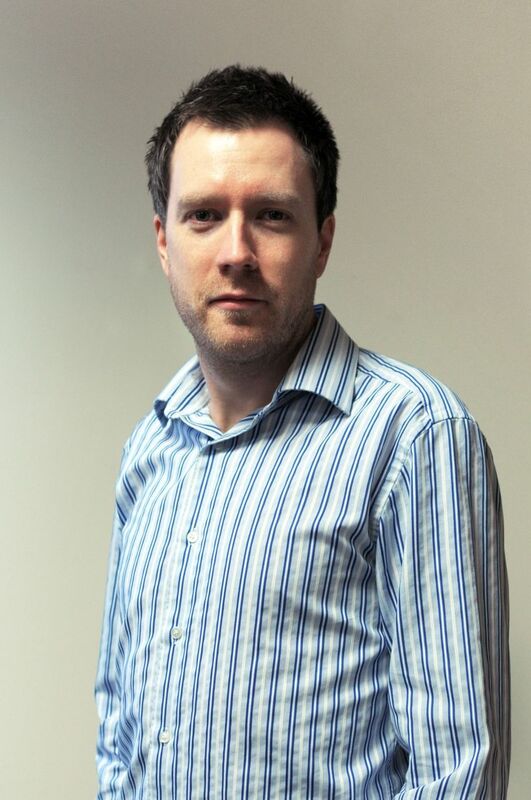 Ill fitting shoes can cause discomfort and even affect foot health making professional shoe fittings very important for both children and adults. 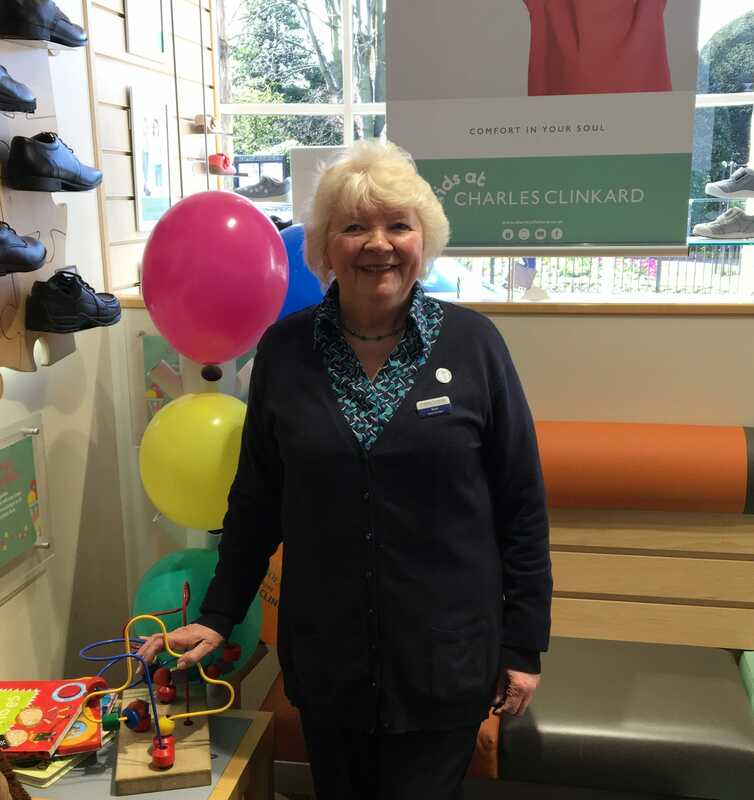 Last February, Mary at our Middlesbrough store celebrated 30 years of working at Charles Clinkard! We’d like to thank Mary for all of her hard work over the years and for being such a valued member of the company. 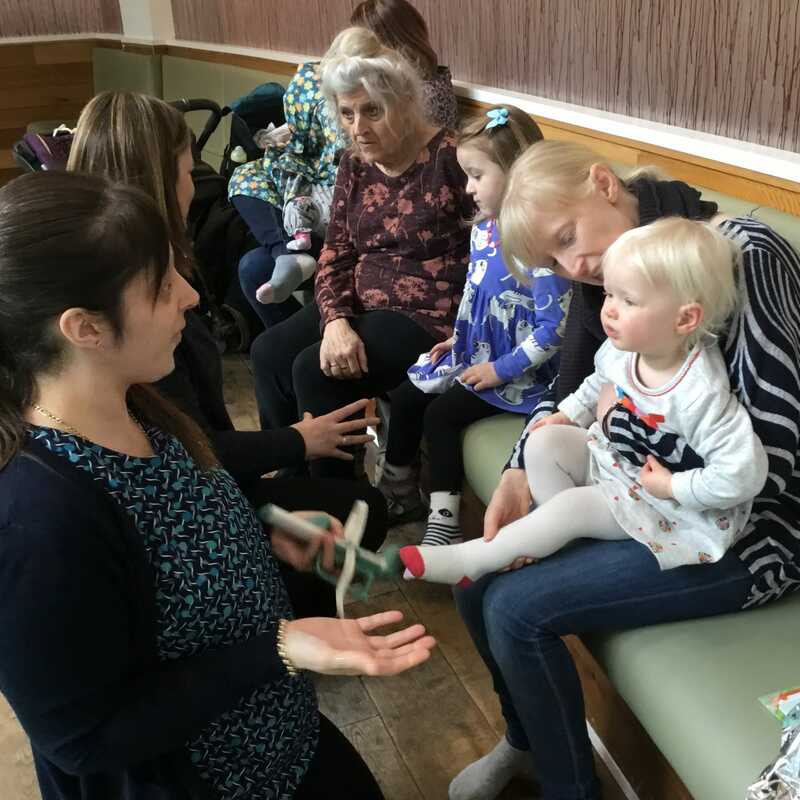 Back in March, members of the team at our Meadowhall store went along to the Meadowhall shopping centre’s ‘Mini Me’ event. The event is held once a month and is a chance for parents to learn about services and events aimed at young children. 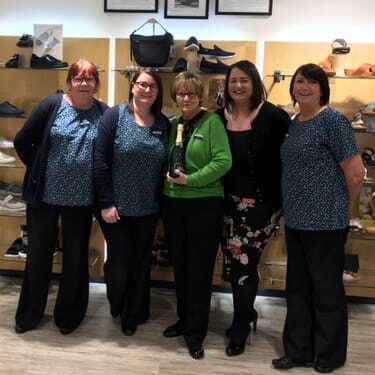 Our Meadowhall store attended the event to introduce our new first shoes experience and also donated a £30 gift card and some 15% vouchers to the raffle! dedication and wish her a very happy retirement! 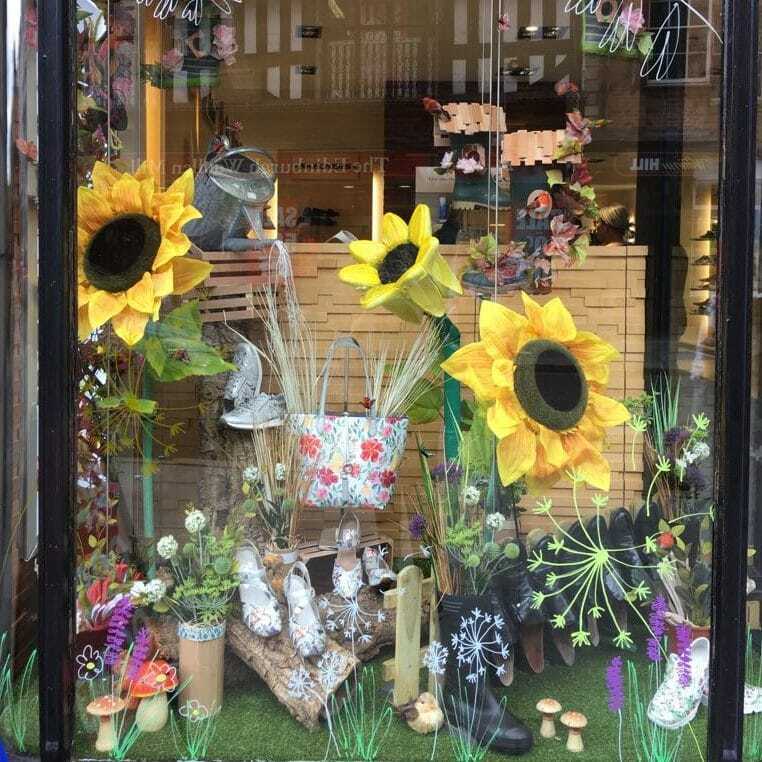 Our Shrewsbury store won the 2018 flower festival themed store window competition with a fabulous display created by our window dresser Sarah. We’re all very proud of Sarah and her beautiful garden themed winner can be seen in more detail here. As well as claiming the trophy for the store, Sarah also received a prize of 2 tickets to Shrewsbury Flower Show! Last year, our Milton Keynes store underwent an exciting refurbishment and now looks better than ever! 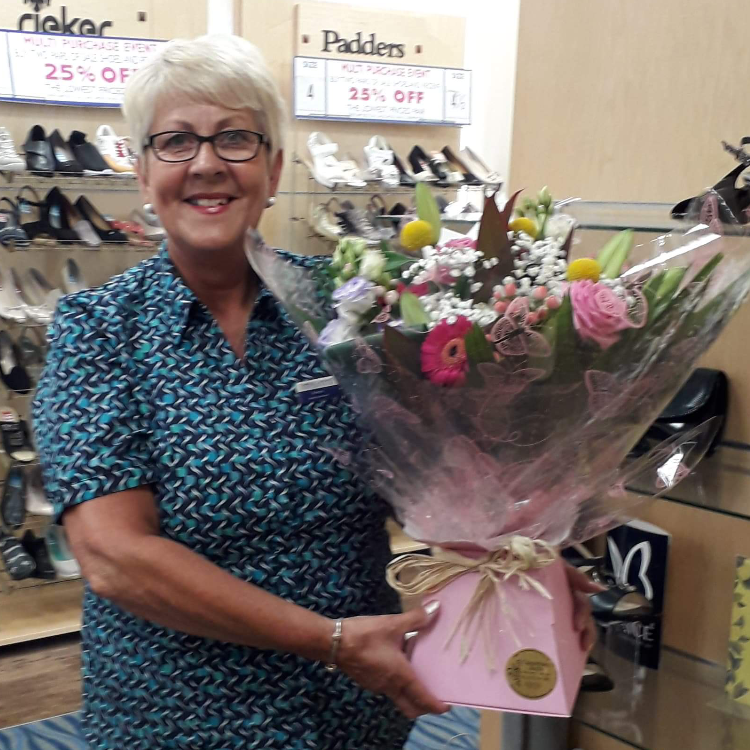 Aileen from our Kirkcaldy store celebrated 30 years working with the company in 2018! We’d like to take this opportunity to say a huge thank you to Aileen for all of her hard work and dedication over the years. Last summer, our Shoes For Your Class competition returned and 2018’s lucky winners were Entisar Adam from Netherthorpe Primary School and Alfie from Holy Name primary school. Both pupils designed a fantastic new pair of shoes to be worn in the future and won every member of their classes a new pair of school shoes! 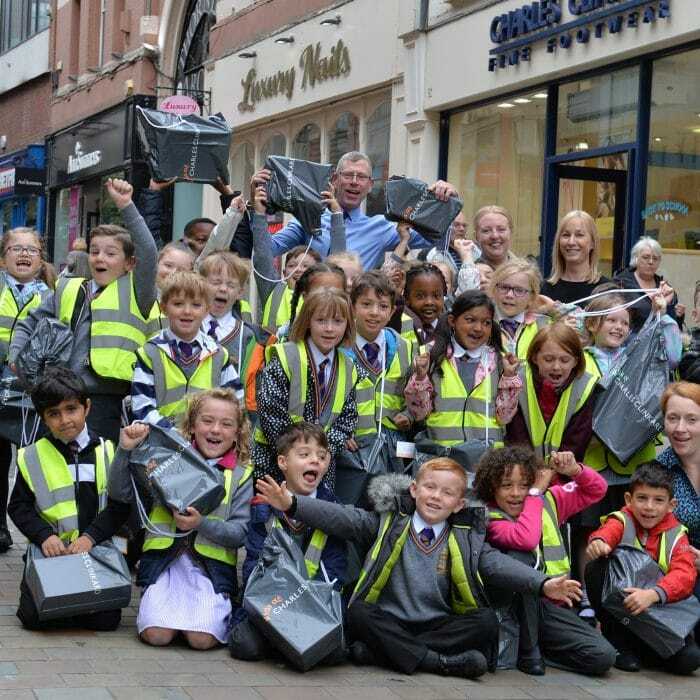 Our Middlesbrough store rolled out the red carpet back in September when Elsie and Alexander, the stars of our new Back To School campaign, dropped in for a visit! 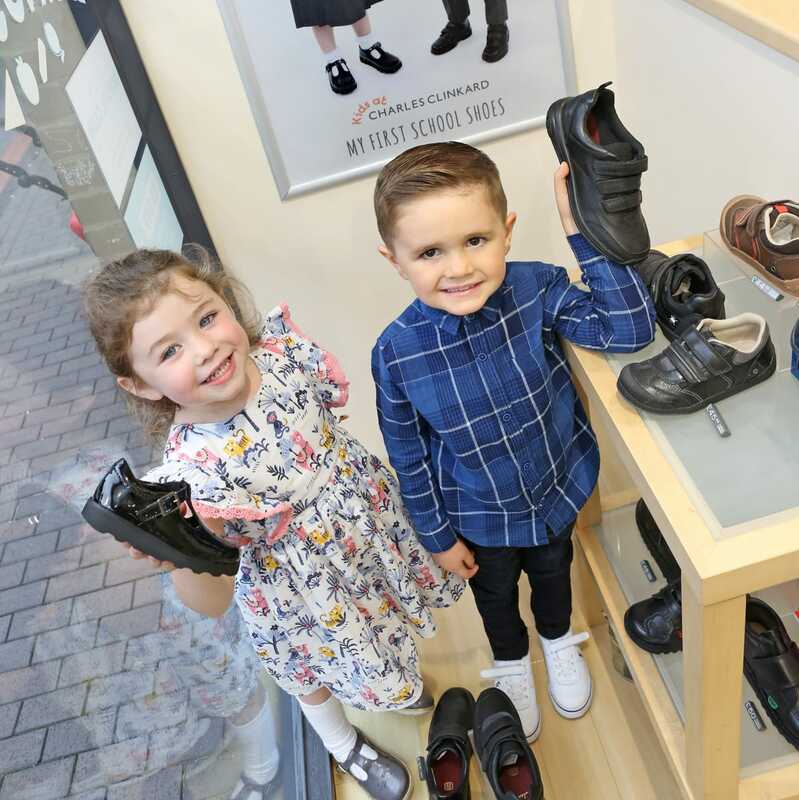 Elsie and Alexander came top of the class when they won our nation-wide competition to find talented toddlers to star in our new store window campaign. They were both very excited to see their pictures up in the store window! 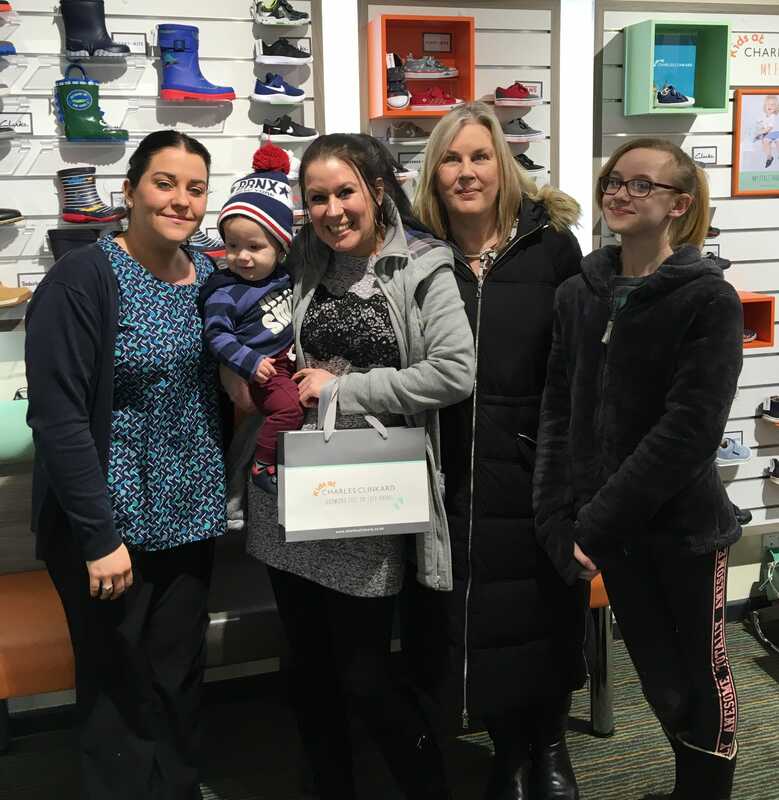 Saturday the 17th of February was Random Acts of Kindness Day and to celebrate we gave one lucky customer in each of our stores a free pair of shoes! 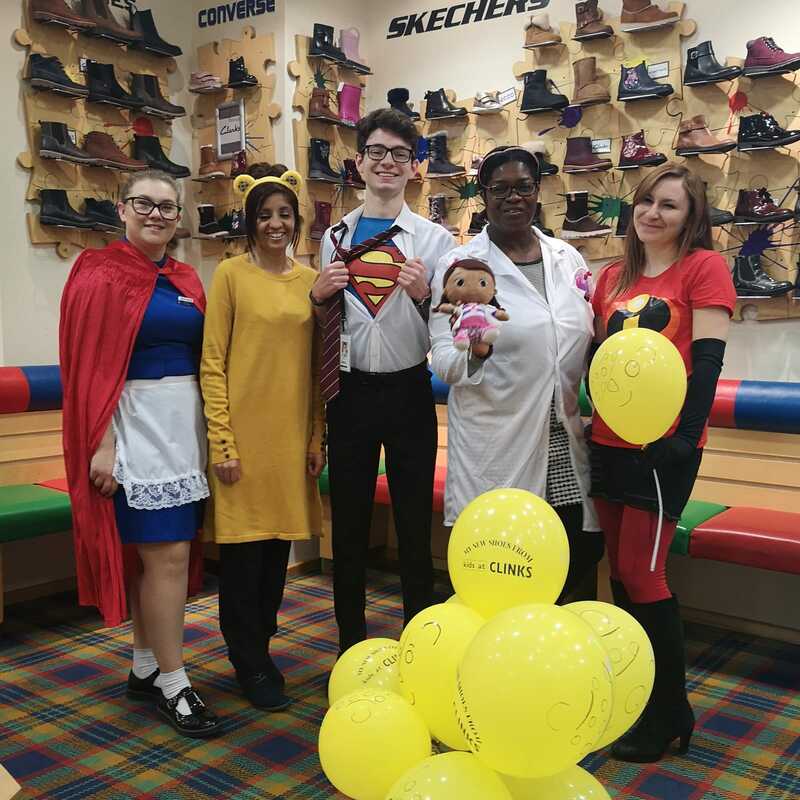 Our stores got busy in November and found countless creative ways to raise money for the BBC’s Children In Need appeal. Through a combination of bake sales, dress up days, name the bear, book sales and face painting we are delighted to announce that we were about to raise £4332! We’d like to thank everyone who donated money to help us reach this incredible figure.